A quote and a birthday! Today is the birthday of one of our former presidents, Thomas Jefferson. He was a man I admire. I went through the section of the Library of Congress that was dedicated to him. He believed in education. 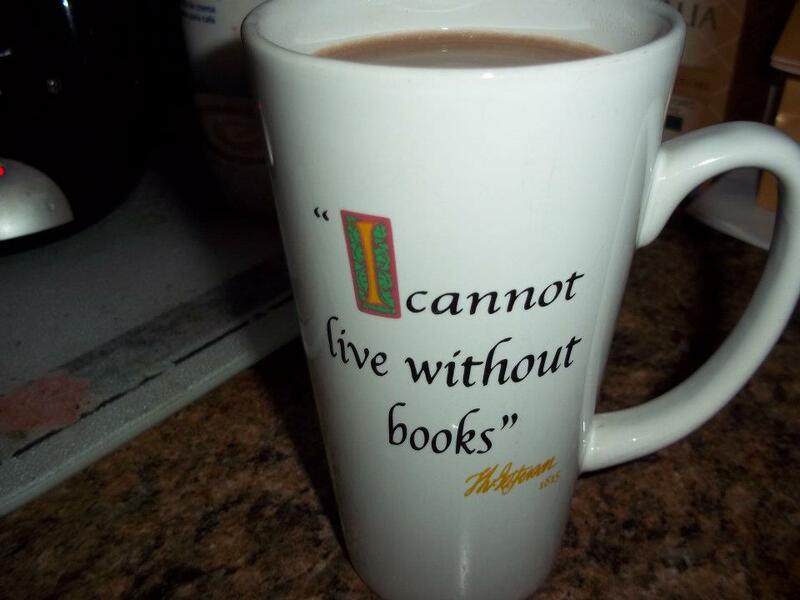 Below is one of my favorite coffee mugs with one of my favorite quotes from him. Thomas Jefferson (April 13 [O.S. April 2] 1743 – July 4, 1826) was an American Founding Father who was the principal author of the Declaration of Independence and later served as the third President of the United States from 1801 to 1809. Previously, he was elected the second Vice President of the United States, serving under John Adams from 1797 to 1801. A proponent of democracy, republicanism, and individual rights motivating American colonists to break from Great Britain and form a new nation, he produced formative documents and decisions at both the state and national level. Jefferson was primarily of English ancestry, born and educated in colonial Virginia. He graduated from the College of William & Mary and briefly practiced law, at times defending slaves seeking their freedom. During the American Revolution, he represented Virginia in the Continental Congress that adopted the Declaration, drafted the law for religious freedom as a Virginia legislator, and served as a wartime governor (1779–1781). He became the United States Minister to France in May 1785, and subsequently the nation’s first Secretary of State in 1790–1793 under President George Washington. Jefferson and James Madison organized the Democratic-Republican Party to oppose the Federalist Party during the formation of the First Party System. With Madison, he anonymously wrote the controversial Kentucky and Virginia Resolutions in 1798–1799, which sought to embolden states’ rights in opposition to the national government by nullifying the Alien and Sedition Acts. As President, Jefferson pursued the nation’s shipping and trade interests against Barbary pirates and aggressive British trade policies. He also organized the Louisiana Purchase, almost doubling the country’s territory. As a result of peace negotiations with France, his administration reduced military forces. He was reelected in 1804. Jefferson’s second term was beset with difficulties at home, including the trial of former Vice President Aaron Burr. American foreign trade was diminished when Jefferson implemented the Embargo Act of 1807, responding to British threats to U.S. shipping. In 1803, Jefferson began a controversial process of Indian tribe removal to the newly organized Louisiana Territory, and he signed the Act Prohibiting Importation of Slaves in 1807. Jefferson mastered many disciplines, which ranged from surveying and mathematics to horticulture and mechanics. He was a proven architect in the classical tradition. Jefferson’s keen interest in religion and philosophy earned him the presidency of the American Philosophical Society. He shunned organized religion, but was influenced by both Christianity and deism. He was well versed in linguistics and spoke several languages. He founded the University of Virginia after retiring from public office. He was a prolific letter writer and corresponded with many prominent and important people throughout his adult life. His only full-length book is Notes on the State of Virginia (1785), considered the most important American book published before 1800. There is much to admire about him, but also much to be deplored. All I can say is that it was a different time from now and if he was alive, I can only hope he would truly believe that all men are created equal despite race, color or creed.